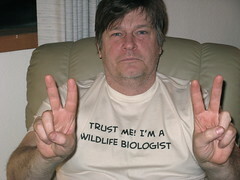 Would you trust this man with your wildlife? Hi! Just found your site by tracking back my site meter. So glad to find someone else who loves the Yukon-Kuskokwim Delta as much as I do. Really nice photos!